Change is inevitable. For some, change can be hard and change can be scary, but for Cetnaj Lighting-Electrical-Data, change is invigorating. At the heart of the Cetnaj company is the knowledge and the passion to grow and progress when the industry or the market calls for it. In the 40 years since Cetnaj was founded, much has changed - and obviously so. The same way that powerpoints, ceiling fans, and light bulbs have changed, Cetnaj has gone from being a small, family-owned business operating out of a blue, tin shed to a major player in the lighting, electrical, and data industries. In 1976, original owners Martyn and Roslyn Richardson and John and Catherine Connors began the company that would become Cetnaj today. As electricians, Martyn and John became friends as they worked together on a variety of jobs. 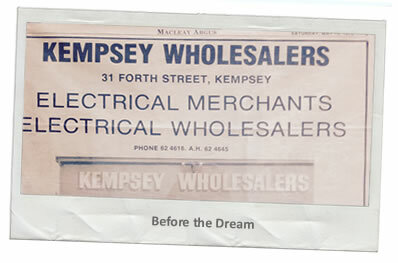 They soon had the idea to bridge the gap between electrical suppliers and electricians who needed products to complete jobs. They wanted to create a one-stop shop that offered everything in lighting and electrical and more. From there, the idea grew, and these two hardworking men and their entrepreneurial wives formed the basis for Cetnaj Lighting-Electrical-Data. A location was found, agreements put in place, and product purchased to begin trading as an electrical wholesaler - the link between suppliers and electricians. 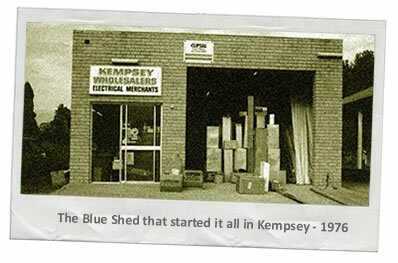 From opening the very first branch in Kempsey in 1976, the business increased and demand grew, so Cetnaj opened more branches in regional NSW and employed more staff to accommodate more customers. Branch locations in NSW continued to expand to include the Sydney area until Cetnaj burst onto the scene in QLD in 2000. This new venture paved the way for many branches to open in the sunshine state, and before long, locations in Victoria were opening their doors. The business has steadily developed a roster of 44 branches across the east coast just 40 years after its inception - not to mention the nationwide online store! What was firstly a wholesale electrical company, Cetnaj has since expanded into lighting, data, products, and the retail side of the business - added in the early 1990s - is growing at lightning speed. New challenges and opportunities continually present themselves, and the company as a whole leaps at every chance to grow and learn as much as it can. In 2016, Cetnaj turned 40 years old. In hitting this major milestone, it’s been celebrating all year around. The expertise, qualities, and family spirit instilled in the business by its founders will ensure Cetnaj stays at the very top of its game for the next chapter in its life. 2016 saw Cetnaj become the jewel in the crown of Metal Manufactures Limited, and with their backing, Cetnaj is guaranteed to develop into the future. The next steps for Cetnaj Lighting-Electrical-Data may not be known as yet, but it’s safe to say that whatever comes next will be met with a grin and open arms. Here’s to another 40 years of Cetnaj!